This Carrera Go!!! 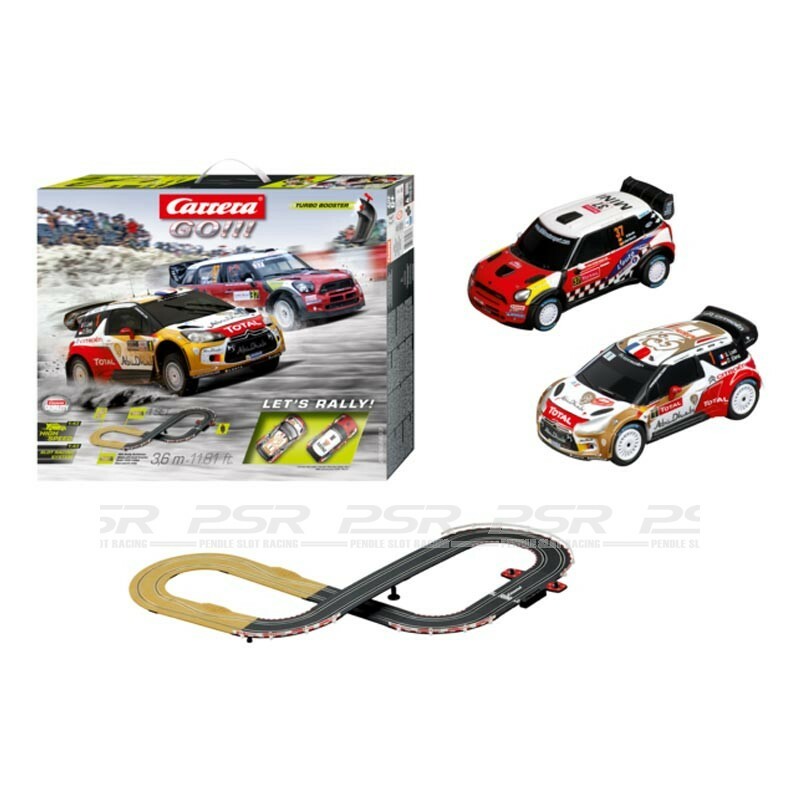 1:43 rally set contains everything you need in one box, cars, track pieces with off road section, controllers and power supply. Featuring the Citroёn and the MINI Countryman. Carrera Go!!! 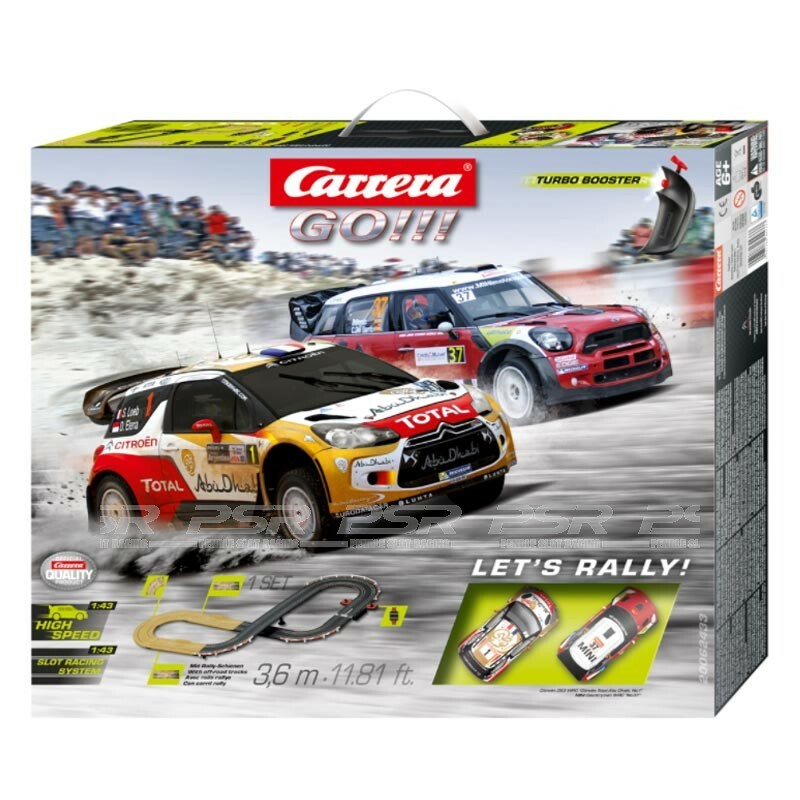 Let's Rally Set - 1:43 scale. The Citroёn and the MINI Countryman don't just look fantastic in their racing outfits, they also bring an incredible portion of speed to the grid. The 3,6-metre/11.81 ft. Carrera GO!!! racetrack is fitted with a narrow section and rally tracks for exciting and eventful racing, and a tangible rally feeling. Straights 100 mm/3.94 in. / 114 mm/4.49 in.